Though Universal already gave us a completely awesome, 3.5 minute trailer for Fast and Furious 6 during the Super Bowl, for those who want something a bit shorter, the studio has now given us a 2.5 minute theatrical trailer, which is still just as cool as the first one. To be perfectly honest, it’s pretty much the same as the first look we got but just condensed a bit and spliced up with some brief, new footage. That being said, it’s still very exciting and has me thinking that this entry may surpass Fast Five, which in my books was the series’ best instalment. Now, if that’s not enough Fast & Furious action for you, get this. 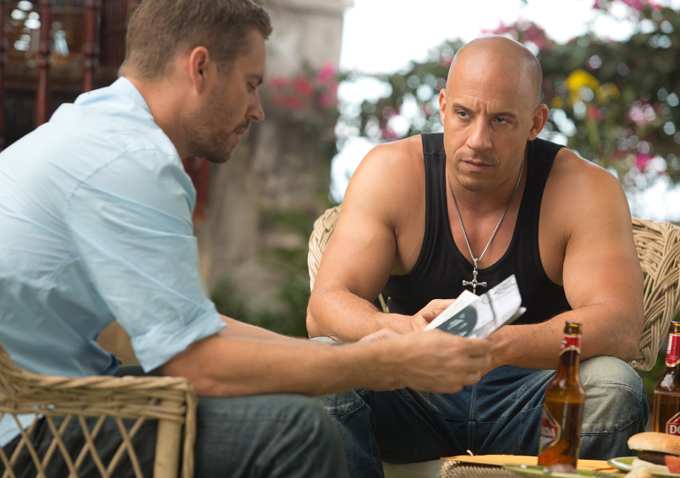 Ain’t It Cool News has a juicy scoop concerning the villain role in both this film, and Fast and Furious 7. Be warned, spoilers lie ahead. Ok, ready? Here we go. Apparently, Jason Statham will appear briefly in Fast and Furious 6 before taking on a major role as the villain in Fast and Furious 7. AICN has more details on how this will all work into the plot, but we’d rather not spoil anything for now. If you’re interested though, click on the link above and you can see for yourself what they have to say. So, what do you think of that? Pretty exciting eh? That bit of news, coupled with this new trailer, should help tide us over until the film’s May 24th release date. Fast and Furious 6 stars Dwayne Johnson, Vin Diesel, Gina Carano, Michelle Rodriguez, Paul Walker, Jordana Brewster, Tyrese Gibson, Sung Kang, Gal Gadot, Chris “Ludacris” Bridges, Luke Evans and Elsa Pataky. Check out the plot summary and trailer below and let us know what you think.